This one day course explores in depth the role of good communication skills in achieving a positive outcome for the service user and sustaining good relationships with other services. 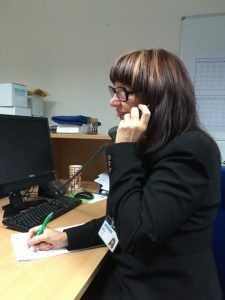 quality call handling practices, improving staff confidence and ensuring a person-centred approach is taken to the safety of the service user at all. Be able to describe how the role of a call handler in a TEC service supports the provision of safe, good quality services in line with TSA Quality Standards Framework, by analysing real customer stories, discussing risks and consequences and applying learning to identify best practise. Target Group: Suitable for all staff involved in the delivery of call handling services, within TEC monitoring services where call handling is a core provision, or partner agencies wishing to build knowledge to support partnership working. Cost:£750 plus VAT for up to 12 delegates.